Fall is here and that means it’s festival season in New England. In Boston, that means a bunch of different events showcasing local foods, art and more. Here a few to check out. This festival features a variety of well-known chefs and food and wine experts. With both demonstrations and signings to enjoy, not to mention the Food Fight, you won’t want to miss this. Experience “A Little Bit of Soul and A Whole Lot of Blues” in Middleboro. This family-friendly event offers blues music and a variety of vendors, all while honoring and supporting veterans and veteran services. The 32nd Boston Film Festival schedule includes two local features and five worldwide premieres this year. Not to worry, there are more than enough options for everyone’s tastes. 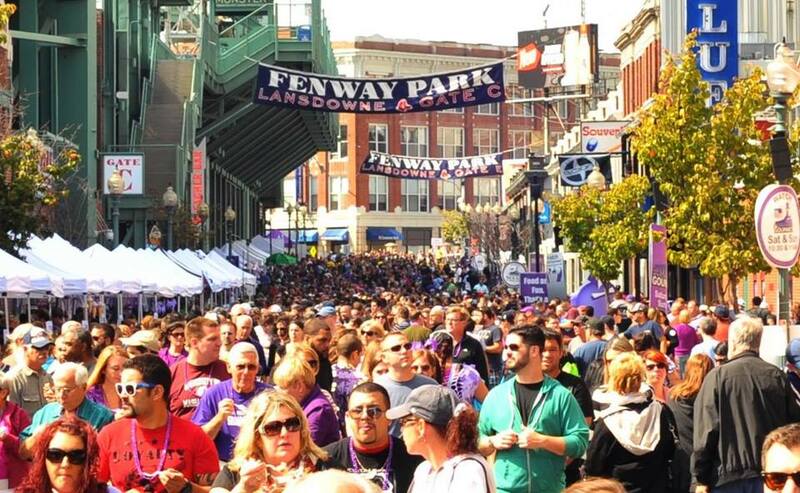 This foodie extravaganza takes place next to Fenway Park. You can try 100 of Phantom’s favorite foods. Enjoy classic favorites from hot sandwiches to pizza and or try a brand new treat from Angry Chicken or Yada Yada Cookies. Get your ticket now before they’re gone. Think we missed one? Let us know.